The Prophet Muhammad is a central figure in the life and faith of Muslims. The story of his life is filled with inspiration, trials, triumphs, and guidance for people of all ages and times. Muhammad was born in Makkah (modern-day Saudi Arabia) in the year 570 C.E. At the time, Makkah was a stop-over point along the trade route from Yemen to Syria. Although the people had been exposed to monotheism and traced their roots to the Prophet Abraham, they had lapsed into polytheism. Orphaned at a young age, Muhammad was known as a calm and truthful boy. By the age of 40, Muhammad was in the habit of retreating to a local cave when he desired solitude. He would spend his days contemplating the state of his people and the deeper truths of life. During one of these retreats, the angel Gabriel appeared to Muhammad and told him that God had chosen him as a Messenger. The Prophet Muhammad received his first words of revelation: “Read! In the name of your Lord who created, created man from a clot. Read! And your Lord is Most Bountiful. He, Who taught by the pen, taught man what he knew not." (Qur’an 96:1-5). Muhammad was naturally shaken by this experience and went home to be with his beloved wife, Khadija. She reassured him that God would not lead him astray, as he was a sincere and generous person. Over time, Muhammad accepted his calling and began to pray in earnest. After a three-year wait, the Prophet Muhammad began to receive further revelations through the Angel Gabriel. 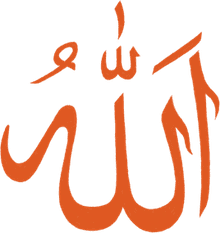 Muslims in Makkah: 613-619 C.E. The Prophet Muhammad waited patiently for three years after the first revelation. During this time, he engaged in more intense prayer and spiritual pursuits. The revelations were then resumed, and the subsequent verses reassured Muhammad that God had not forsaken him. On the contrary, the Prophet Muhammad was commanded to warn people about their evil practices, help the poor and orphans, and to worship only One God (Allah). 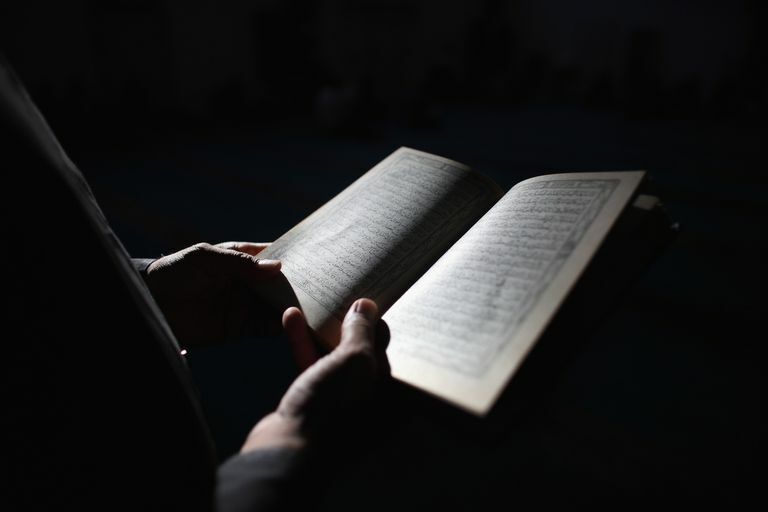 In accordance with guidance from the Quran, the Prophet Muhammad initially kept the revelations private, confiding only in a small circle of family members and close friends. Over time, the Prophet Muhammad began to preach to his own tribe members, and then throughout the city of Makkah. His teachings were not well received by most. Many in Makkah had become rich, as the city was a central trade hub and a spiritual center for polytheism. They did not appreciate Muhammad's message of embracing social equality, rejecting idols, and sharing wealth with the poor and needy. Thus, many of the Prophet Muhammad's early followers were among the lower classes, slaves, and women. These early Muslim followers were subject to horrible mistreatment by the Makkan upper classes. Several were tortured, others were killed, and some took temporary refuge in Abyssinia. The Makkan tribes then organized a social boycott of the Muslims, not allowing people to trade with, care for, or socialize with the Muslims. In the harsh desert climate, this was essentially a death sentence. Year of Sadness: 619 C.E. During these years of persecution, there was one year that was particularly difficult. It became known as "the Year of Sadness." In that year, the Prophet Muhammad’s beloved wife Khadija and his uncle/caretaker Abu Talib both died. Without Abu Talib’s protection, the Muslim community experienced increasing harassment in Makkah. Left with few choices, the Muslims began looking for a place other than Makkah to settle. The Prophet Muhammad first visited the nearby city of Taif to preach the Oneness of God and seek asylum from the Makkan oppressors. This attempt was unsuccessful; the Prophet Muhammad was eventually mocked and run out of town. In the midst of this adversity, the Prophet Muhammad had an experience which is now known as Isra’ and Mi’raj (the Night Visit and Ascension). During the month of Rajab, the Prophet Muhammad made a nighttime trip to the city of Jerusalem (isra’), visited the Al-Aqsa Mosque, and from there was raised up into heaven (mi’raj). This experience gave comfort and hope to the struggling Muslim community. Migration to Madinah: 622 C.E. When the situation in Makkah had become unbearable for the Muslims, an offer was made by the people of Yathrib, a small city to the north of Makkah. The people of Yathrib had more interfaith experience, having lived near Christian and Jewish tribes in their area. They were open to receiving the Muslims and pledged their assistance. In small groups, under the cover of night, Muslims began to travel north to the new city. The Makkans responded by confiscating the property of those who left and devising plans to assassinate Muhammad. The Prophet Muhammad and his friend Abu Bakr then left Makkah to join the others in Madinah. He asked his cousin and close companion, Ali, to stay behind and take care of their final business in Makkah. When the Prophet Muhammad arrived in Yathrib, the city was renamed Madinah An-Nabi (the City of the Prophet). It is now also known as Madinah Al-Munawarrah (the Enlightened City). This migration from Makkah to Madinah was complete in 622 C.E., which marks "year zero" (the beginning) of the Islamic calendar. The significance of the migration in the history of Islam should not be underestimated. For the first time, Muslims could live without persecution. They could organize society and live according to the teachings of Islam. They could pray and practice their faith in full freedom and comfort. The Muslims began to set up a society based on justice, equality, and faith. The Prophet Muhammad expanded his role as Prophet to also include political and social leadership. Battles and Treaties: 624-627 C.E. The Makkan tribes were not content to let the Muslims settle in Madinah and be done with it. They sought to destroy the Muslims once and for all, which led to a series of military battles. Battle of Badr: Two years after the migration, the Makkan armies gathered outside of Madinah. The Muslims were outnumbered 3:1 but were successful in defending against the invading army. This boosted their morale; they felt that Allah had ensured their success despite the odds. Battle of Uhud: A year after their defeat at Badr, the Makkans came back even stronger. The Battle of Uhud was less decisive and taught the Muslims an important lesson about overconfidence and greed. Battle of the Trench: The Makkans then tried a new tactic, forging alliances with area tribes to join in and attack Madinah from many directions. Again, facing tremendous odds, the Muslims successfully defended against this attack by digging a large ditch to ward off the approaching cavalry. Through these battles, the Makkans began to see that the Muslims were a powerful force that would not easily be destroyed. Their efforts turned to diplomacy. Many among the Muslims tried to dissuade the Prophet Muhammad from engaging in talks with the Makkans; they felt that the Makkans had proven themselves untrustworthy. Nevertheless, the Prophet Muhammad attempted to reconcile. Conquest of Makkah: 628 C.E. In the sixth year after the migration to Madinah, the Muslims had proven that military force would not be enough to destroy them. The Prophet Muhammad and the tribes of Makkah began a period of diplomacy in order to normalize their relations. There would be a 10-year peace during which Muslims could travel to Makkah, and Makkans could travel on the caravan route to Syria, through Muslim lands. The Muslims would wait another year before returning to Makkah. Any other tribe would be free to align themselves with either side of the agreement. The Muslims reluctantly followed the Prophet Muhammad's lead and agreed to the terms. With peace assured, relations normalized for a while. The Muslims were able to turn their attentions from defense to sharing the message of Islam in other lands. However, it did not take long for the Makkans to violate the terms of the agreement, by attacking allies of the Muslims. The Muslim army then marched upon Makkah, surprising them and entering the city without bloodshed. The Prophet Muhammad gathered the people of the city together, declaring a general amnesty and universal pardon. Many of the people of Makkah were moved by this open-heartedness and embraced Islam. The Prophet Muhammad then returned to Madinah. Death of the Prophet: 632 C.E. A decade after the migration to Madinah, the Prophet Muhammad performed a pilgrimage to Makkah. There he encountered hundreds of thousands of Muslims from all parts of Arabia and beyond. On the Plain of Arafat, the Prophet Muhammad delivered what is now known as his Farewell Sermon. A few weeks later, back at home in Madinah, the Prophet Muhammad became ill and passed away. His death sparked a debate among the Muslim community about its future leadership. This was resolved with the appointment of Abu Bakr as caliph. The Prophet Muhammad's legacy includes a religion of pure monotheism, a system of law based on fairness and justice, and a balanced way of life, based ​on social equality, generosity, and brotherhood. The Prophet Muhammad transformed a corrupt, tribal land into a well-disciplined state, and led the people by noble example.